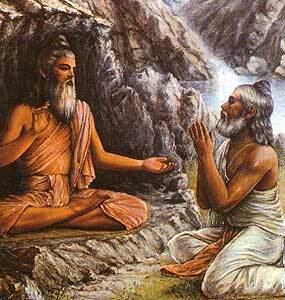 The Upanishads are among the world’s oldest metaphysical treatises representing the philosophical inspirations and conclusions of Indian sages deep in their forest hermitages regarding the nature of reality. Scholars universally hold that they could not have been composed later than the 7th century B.C. and predate the glorious 6th century when a sudden spate of thinkers and prophets like Confucius, Buddha, Zoroaster, Homer and Pythagoras propounded new philosophies and launched great religions. Thus at the dawn of history these pioneering and extraordinary thinkers pondered answers to fundamental questions about the nature of existence, the cosmos, man and nature and their inter-relations. From their early insights they advanced to profound philosophical and spiritual revelations which eventually crystalized into the Monism of Hindu beliefs, the concept of the unity of the created universe, integral with the metaphysical world of the spirit, the concepts of the Soul at the heart of physical reality and the immanence of the spiritual essence in all we behold – and finally the nature of the supreme Universal Essence, the supersoul and Godhead. Further introspection produced the fundamental philosophical premises of reincarnation through transmigration of the soul, the doctrine of Karma, the concept of Illusion and their ethical and moralistic implications. The development and crystallization of the thought has determined indelibly for millennia the belief systems, spirituality and ethics of the Hindu mind right down to the present day. All Indian philosophical and religious traditions, whether theistic, pantheistic, materialistic or atheistic derive their ultimate inspiration from this seminal body of introspection of the thinkers and sages of yore, ruminating without any inhibitions or constraints on questions about the origin, nature and destiny of man and the universe, seeking to find answers to grasp the essence of a universal truth. The verses are presented in Socratic fashion through dialogues between seekers after knowledge and their mentors, eminent sages, who attempt to answer questions with questions of their own, prying, so to speak, answers from the questioners themselves. The dialogues are between the sages and their wives, kin, or disciples who present theories and propositions of their own which are either inadequate or only partially true. Thus the arguments move back and forth as the intuitive knowledge enhances and evolves. Then finally the seers who have arrived at their conclusions through insight and intuition present their vision of the truth, which has continued to inspire Hindu thoughts and beliefs to this day. What is remarkable and wonderful in all this is that there is no predetermined assumption nor a preordained dogma but a rare and exhilarating freedom of thought which succeeded in grasping the truth which later crystallized as established theory or dogma. It is like a clear slate suddenly filling up with extraordinary and seminal unheard of propositions dispelling confusion and untenable and naive assumptions of pre-history. Thus in a sense the Upanishads expose the genesis and creation of Hindu beliefs and dogma. One becomes as it were, a witness to the very process whereby a body of beliefs developed and matured. Such a vision of evolving thought is rarely available generally. It is as if in studying the evolution of man one encountered the fossils of dinosaurs, apes and our immediate ancestors the Neanderthals and Homo-erectus. This evolution of Hindu thought witnessed in the Upanishads ( ending ignorance through knowledge in Sanskrit) is replete with numerous aphorisms and superb Sanskrit poetry and mystical insights. 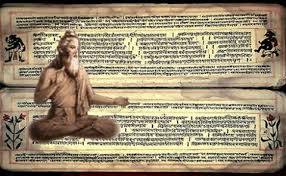 The Upanishads themselves form part of the Vedas, considered by Hindus in general as the repository and fountainhead of all knowledge and religious and spiritual inspiration. Emerging from the inspirational womb of the Upanishads was the primary Hindu scripture the Bhagavad Gita. Thus an examination of the evolution of Upanishadic thought would prove invaluable for the scholar of metaphysics in general and Hinduism in particular in witnessing the progression of man’s quest to unravel the mysteries of the universe of which he is a part.